When it comes to reducing your energy costs, targeting larger loads, or those used more frequently, makes a lot of sense. Big savings can often be achieved by making small adjustments to the way things are done, or when they are done. But sometimes, it’s the little things escaping our attention that are unknowingly contributing to our consumption. Modern technology is often a culprit. Take the humble ice cube. Many of us now have fancy, fandangle fridges that make ice for us. Enter the automatic ice-dispenser. The auto-ice maker is an unexpected power hungry little device, due to one small problem. How does the machine crack the ice out of the tray? Without our dexterous hands, the fridge relies on a motor, drawing energy to dispel the cubes from the tray. As it is a cold environment, the motor also needs a small heater to stop it from freezing, requiring additional power. All of this for the simple task of making an icy square of water. Now, the amount of energy consumed in this process still pales in comparison to heating, cooling, and lighting consumption. But it does beg the question – how much are our automated lives really costing us? Having our appliances at our beck and call is another good example of modern, power hungry convenience. Your TV, printer, microwave, and other appliances left on standby can contribute up to 10% of your total energy bill. In fact, appliances on standby cost the average Australian household $251 per year. The solution? Getting up and turning them off at the switch is a goo d start. You can also think about putting multiple entertainment devices on the one power board and turning off that when you are done. 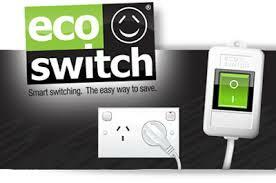 There are a few devices on the market that help make this easier, such as the EcoSwitch or a master/slave power board, available at most electrical retailers. When buying new equipment, look for the energy rating – it should include standby mode power use. 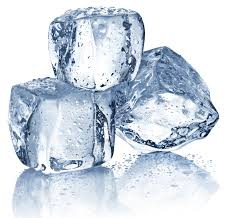 As for the ice cubes – well if you already have a cube-making fridge you can see this story as a (not so) fun fact. If you are in the market for buying a new fridge, maybe think twice about the ‘convenient’ little ice-maker addition. Tandem can help you identify some of those hidden power thirsty devices and pieces of equipment. Contact us to find out how.